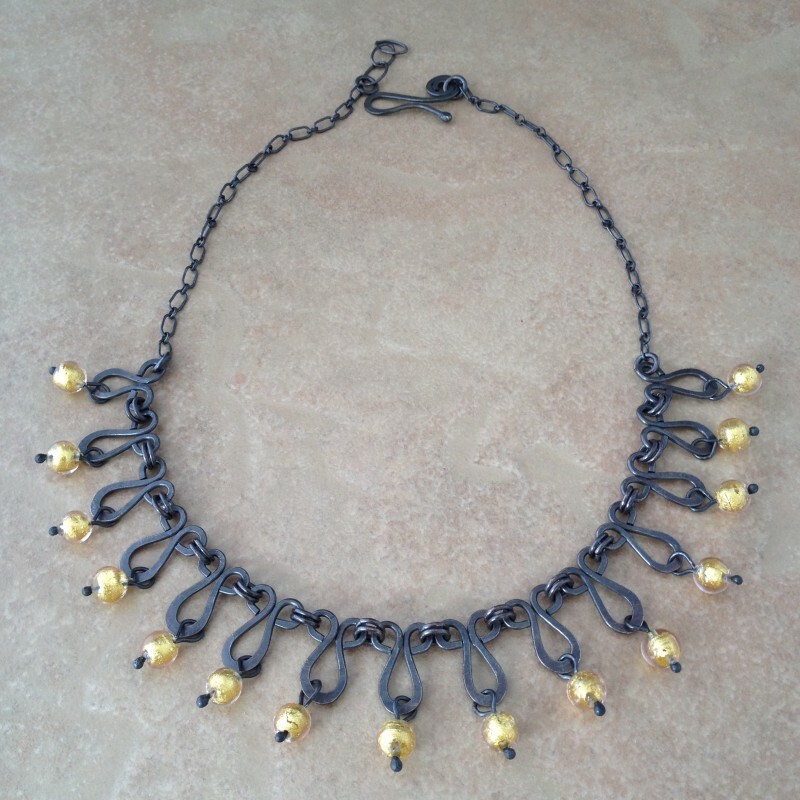 Sterling silver vintage inspired necklace with murano beads. Sterling silver wire is shaped by hand, hammered and then oxidized. 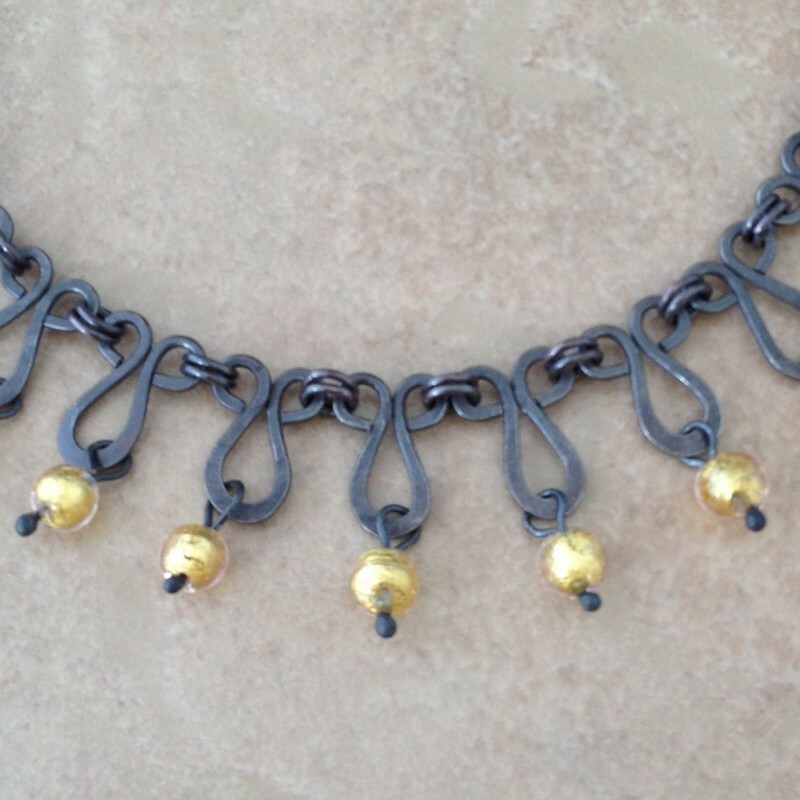 The Gold Murano glass beads from Venice, Italy, are in elegant contrast to the blackened antiqued silver. Classic and chic. 16"-18" long. Check out our matching earrings (Sterling Silver Earrings with Murano Beads) for a complete look.